There aren’t many movies that make me laugh so much that I’ll watch them twice. There also aren’t many movies that shake me emotionally so much that I’ll shed tears multiples times. I’m not sure I’ve ever seen a movie that did both, though – until now. 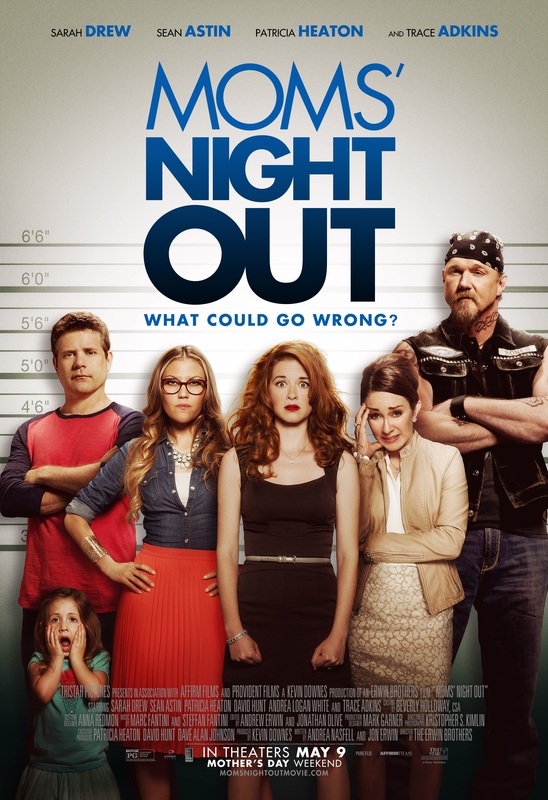 Moms’ Night Out, which opens Friday, is one of the funniest movies you’ll ever see, along with one of the most moving. It’s a film that does for moms what Courageous did for dads – that is, uplift, inspire and encourage mothers to better fulfill their God-given role. It’s a celebration of moms. I watched a screener of it one night with my wife, laughed hysterically and cried a few times, and went to bed amazed at what I had just seen. The next night, I watched it again, laughed hysterically again and cried some more, again. It may be the best faith-based movie yet, but honestly, it doesn’t seem fair even to say that. Moms’ Night Out simply is a great movie that has a faith message and plenty of crossover appeal. Who will like it? Anyone who has a child, who’s ever had a child, who has taken care of a child, or has watched in interest and horror a child at Walmart have an Aisle 6 meltdown. Welcome to my blog, which spotlights parenting -- the joy of my life. I've made plenty of mistakes but have learned a lot along the way, too. I try blogging several times a month. That is, unless I get too busy playing outside with my family.